It describes the eastern escarpment of the Cederberg Wilderness, and is part of the Cape Floristic Region World Heritage Site. The park’s boundaries are roughly described as the area north of the Brandkraal River, south of Wupperthal, west of Doring River, and east of the Op-die-Berg/Wupperthal access road. The 60 000 hectare park provides a much needed habitat for the endangered Cape mountain zebra, of which a current population of 34 makes its home at Mooiberg farm. 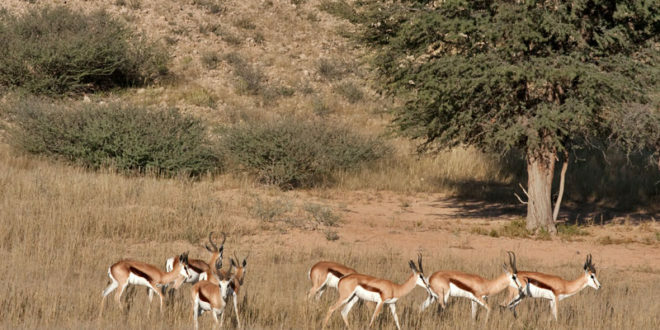 The Red Cederberg Karoo Park not only protects the zebra, however. It also conserves a valuable biodiversity, cultural and historical assets of the Cederberg, and the Cape mountain leopard. It is a true wilderness described as having a ‘silent spirit and the rejuvenating energy of a space far removed from the clamour of the modern world’. Millennia ago the Khoisan lived in the valleys of the Rooi Cederberg. They sought food along the river beds and slept in caves in the mountains, leaving a legacy of rock art that has been called ‘the largest open air gallery in the world’. Paintings per square kilometre is the highest in southern Africa, if not the world. The Rooi Cederberg protects two biodiversity hotspots. It lies in within the Cape Floristic Region, an international biodiversity hotspot, and extends into the arid Succulent Karoo, also regarded as a hotspot boasting the highest levels of diversity for any arid ecosystem in the world. But perhaps most importantly the Rooi Cederberg protects a sub-population of the Cape mountain leopard, a population that has become genetically isolated from other leopards. As a result of the long isolation it has developed unique characteristics, making this sub-population totally unique. Theory has it that there are only about 25 leopards remaining in an area of over 3 000 km². To visit and stay in the Red Cederberg Karoo Park you can contact one of three owners providing places to stay – Bakkrans Nature Reserve, Mooi Werf Cottages and Keurbosfontein Cottage. Hiking and 4×4 routes are available only to guests staying in the park. Note: to drive the park’s narrow, gravel tracks you will need a 4×4 vehicle.